If you’re like me, you probably feel a little tacky asking for Christmas cash instead of gifts. It takes the personal touch out of the gift a lot of the time and, generally, people don’t enjoy handing others envelopes full of cash. The reason behind you asking for money for Christmas may lead to some awkwardness when your relative asks, “What do you want for Christmas this year?” Maybe you’re tired of trinkets and sweaters you’ll never wear. You don’t need any more socks and if you receive another gag gift you’ll lose your mind. Or maybe you simply need the money. Not everyone will be comfortable with giving Christmas cash. After all, you know your friends and family best. So, if you don’t think they’ll be receptive to the idea, don’t mention it. However, you shouldn’t feel ashamed for asking for gift money, especially if you are using it to better your all-around finances. Mention your financial goals to these individuals and what you plan to do with the cash they gift. This will make them feel like they are helping make your dreams comes true. Even more, they are contributing to your financial endgame. Asking anyone outright for money can come off as tacky. When it comes to your parents, relatives, or close relations, it is probably fine. It is important to remember that no one is obligated to give you anything for Christmas (cash or not). It really IS the thought that counts. So, if you wind up with another “Happy Holidays” mug or tacky sweater, store them away to re-gift next year. In the long run, that will help you save money and contribute to your finances as well! 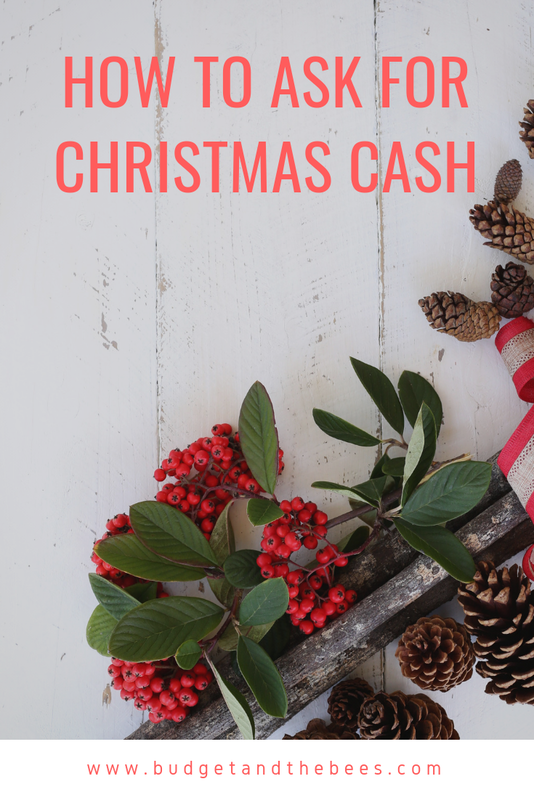 Readers, how do you feel about asking for Christmas cash? Is it tacky? Are You Up For The 365-Day Money Challenge?